We’ve reached the end of our series on Understanding the Italian Menu. You’ve made it to dessert. Or in this case, dolce. What a sweet ending this will be. The cannoli is widely known as the perfect dessert for any meal. It’s made of a fried dough shell, with a creamy filling, usually made of ricotta or mascarpone. A classic cannoli is left like that, but you can also find varieties topped with chocolate chips, pistachios, or fruit. Depending on which region of Italy you’re in, cannolis can range from no bigger than a finger size, to larger fist-sized portions. We have to admit, the bigger the better. More sugar, please! You’ve probably heard of Italian gelato. Gelato is the perfect go-to treat for a summer night stroll. But while walking around Italy, you’ll notice tourists and residents alike roaming the streets with a cone full of at least one flavor. Enjoy gelato like an authentic Italian by picking some up at one of the many street vendors. Otherwise, head to a gelateria for a scoop or two. Traditional gelato flavors include stracciatella, pistachio, and hazelnut . You can also find gelato at an Italian coffee bar as well. While it is a huge tourist attraction, it’s just as important to any traditional Italian meal. Authentic Italian tiramisu is another favorite, made with coffee, chocolate, mascarpone, and a coffee-flavored liqueur. Over the years it has been perfected with many different variations but its key ingredients remain the same. Its perfectly fitting name translates to “pick-me-up”, explaining the beautiful mixture of rich coffee with light sweetness. 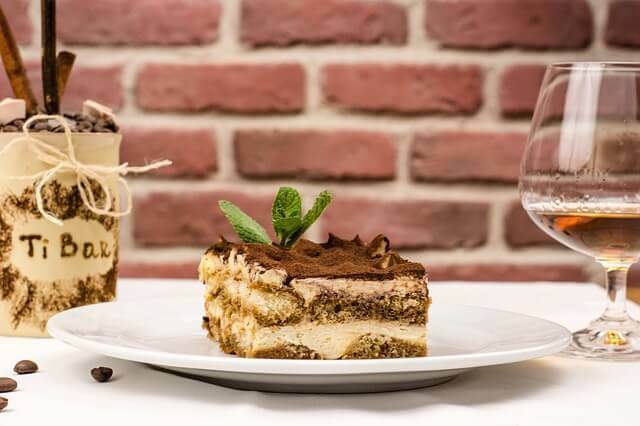 Tiramisu is also considered a semifreddo, meaning that it is a dessert served cold — but not frozen — providing a gentle refreshment at the end of your day. Once referred to as “one of Italy’s great gifts to the rest of the world”, Zabaglione is another example of Italy’s dolce. Zabaglione is made with a base of egg yolks, sugar, and then the alcoholic beverage of your choice. A more traditional recipe is made with Marsala and served over fruits or a cake, creating the perfect little boozy dessert to finish off your meal.